Saturday September 2nd, 1984: Davey Johnson's New York Mets were battling for first place, in a time where there were no wild cards. The Mets (79-59) were five games out of first place behind the rival Chicago Cubs. On this Saturday, the Mets hosted the first place San Diego Padres (78-58) who would go on the be that years NL Champions. In the first game Dwight Gooden went up against Andy Hawkins. In the home 1st, the Mets scored first as Keith Hernandez singled & scored on Hubie Brooks base hit. In the 2nd, Ray Knight & catcher Mike Fitzgerald both singled to start out the inning. 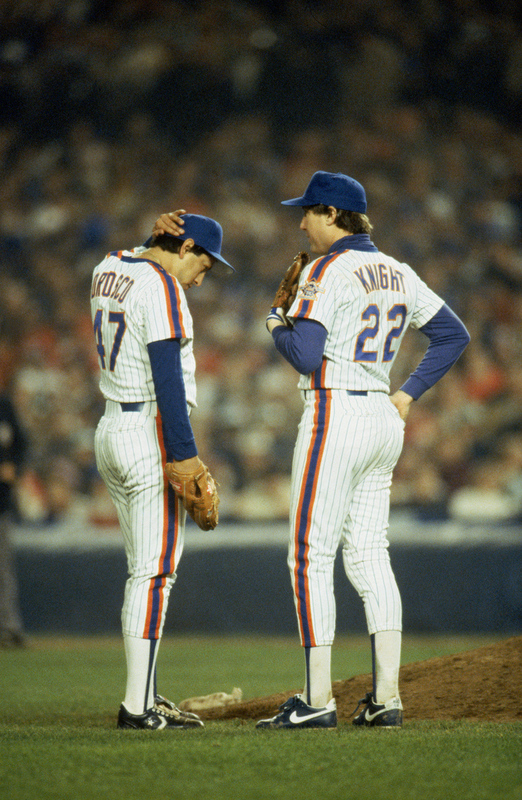 Wally Backman & Keith Hernandez would also single bringing in two more runs, giving the Mets a 3-0 lead. In the top of the 3rd, Alan Wiggins singled & Tony Gwynn walked. They both stole a base as well. Steve Garvey then singled bringing in two Padres runs. In the 4th, Backman doubled & then Keith Hernandez singled driving in his second run of the game. George Foster then singled, scoring Hernandez. The Mets blew it open as Darryl Strawberry connected for his 18th HR of the year, making it 7-2 Mets, on their way to a 7-4 win. Gooden would strike out ten along the way, pitching eight innings allowing four runs on six hits. Jesse Orosco came on in the 9th earning his 28th save of the year, his first of the day! In the night cap,Calvin Schiraldi went up against the Padres Eric Show, a 14 game winner up to that point. Schiraldi was knocked out by the 4th inning, allowing five runs on eight hits, with Kevin McRaynolds, Steve Garvey & Craig Nettles all driving in runs. 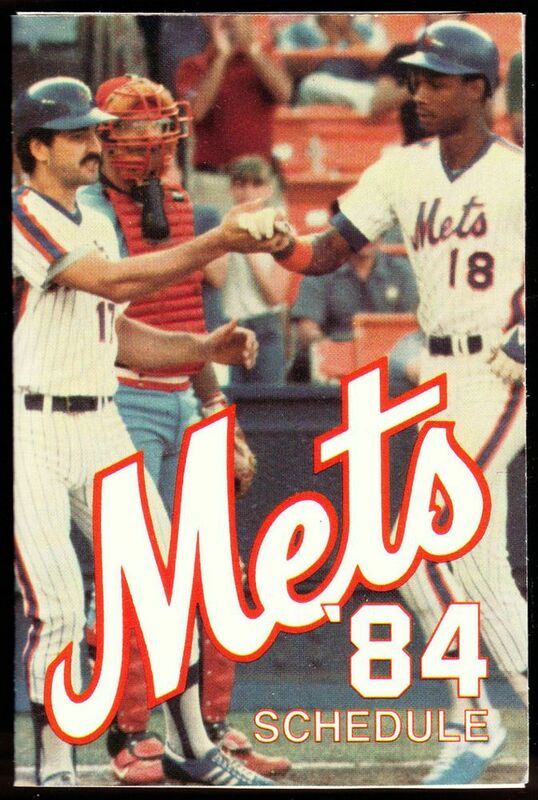 In the home 3rd, after Wally Backman singled & Keith Hernandez walked, Darryl Strawberry singled making a 3-1 game. The Pads got two more runs on Terry Kennedy's HR & Eric Shows double. 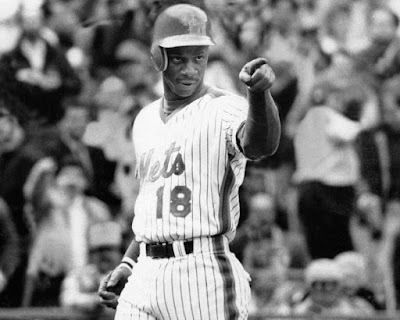 In the bottom of the 4th Mets veteran John Stearns walked, Backman singles & rookie Herm Winningham doubled, bringing in Stearns with one of his last runs as a Met. Show then filled the bases walking Hernandez. He then walked Strawberry & served up a bases clearing double to Hubie Brooks. The Mets went ahead 6-5 as Brooks was thrown out trying to stretch it into a triple. Later in the 7th, Mets pinch hitting expert, Rusty Staub continued being the leagues best pinch hitter driving in Ray Knight with a base hit. The Mets topped off the scoring with Strawberry's 19th HR of the year a two run shot in the 8th inning. Straw now had six RBI's in the twin bill. 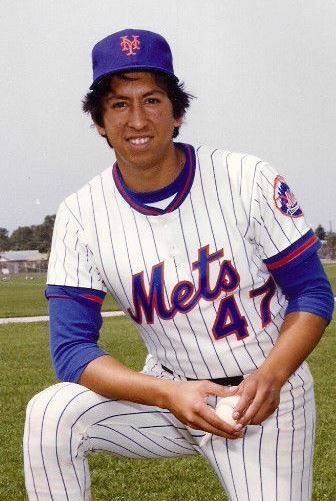 Jesse Orosco had come on in the 8th inning, relieving Tom Gorman who would earn the victory. Orosco did serve up a HR to future Met Kevin McReynolds, buy nailed down the save with his 29th of the year. Orosco had now saved both ends of the Mets double header sweep.